BlackBerry Bold 9650 to hit Verizon June 10? | BlackBerry Blast! BlackBerry Blast! > News > BlackBerry Bold 9650 to hit Verizon June 10? BlackBerry Bold 9650 to hit Verizon June 10? The world is waiting for the release of the BlackBerry Bold 9650 on Verizon, and it looks like the release is drawing near. 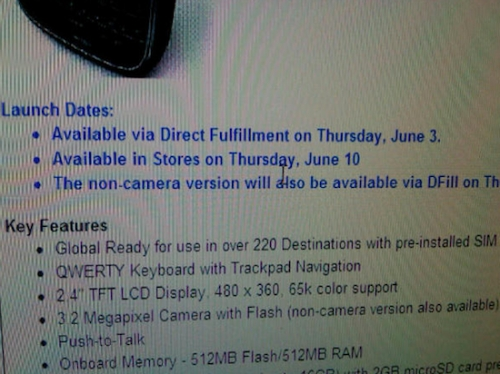 A screenshot of an internal Verizon email has been floating around and it indicates that the Bold 9560 will be available for direct fultillment on June 3rd, and available in the stores on June 10. That means you will have to wait one more week for the Bold 9650 if you're a Verizon customer.